I've been thinking a lot lately about how the way we think ultimately impacts everything in our lives. In light of it being a new year, I've read countless resolutions and goals on positivity and this is something that truly makes me happy. With all the craziness that this world thrusts upon each and every one of us, wishing to live with a positive attitude is certainly admirable. If you're like me, though, it's easy to want to achieve the end goal, but on a day to day basis it's quite difficult to attain if you don't set any steps for yourself. As I blogged about in a previous post, it becomes instinctive to think the worst of anything that doesn't go our way and our perspective can sway any situation, whether positively or negatively. For example, if you follow me on Instagram, you'll have seen that I've had quite a few posts lately complaining about my train being late. Since this is my main mode of transportation, it's a part of my daily life. When things become a daily routine or habit it's easy for our natural reactions to them to be negative. Oh great, the train is late, again. Instead, I never think about that extra time I have, all to myself, before I head home to my long list of other commitments. Sure, it's never fun to get home an hour late, or to stay up later than anticipated because I still have to get through my other obligations. However, I constantly complain about never having time to do something I enjoy, like read. Obviously, what I view as a negative can easily be turned into a positive, say, by using that extra hour to enjoy some quiet reading. 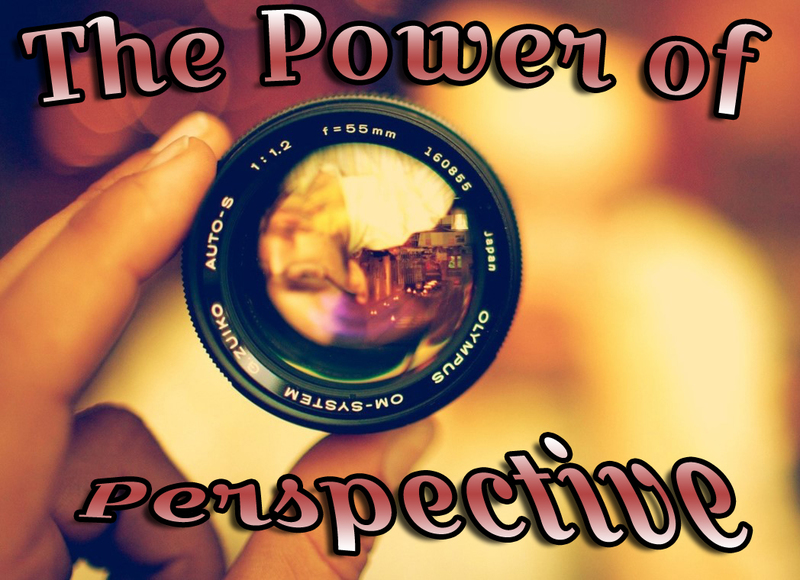 A shift in perspective can make all the difference when it comes to the small things, and the small things add up into big things, which can make small negatives become a big positive. I challenge each of you this week to think differently about one event, be it a daily task or maybe something that just didn't work out right. If you truly believe that everything happens for a reason (as I definitely do) it's easy to look for the positive in any situation. This is such a great post, Kim! I'm sure I constantly annoy my boss by telling him to remember there's something positive in everything (he's generally a negative person), but there really is! Just like you mentioned with your train ride, getting home late is not great, but having extra time to just read or plan out your evening is really nice. I think we all could benefit from learning how to make the most of every situation. I really appreciate this positive reminder on this Tuesday, thanks for sharing! This is such a great post Kim and I love that you are thinking this way. I definitely need to start looking at things in a positive light. Thank you for this post it was definitely the reminder I needed, I hope you are well my gorgeous friend and that everything is going well with the second coffee shop! What an incredible post for the New Year Kim! I definitely agree that our perspective on things can make such a huge difference in how we feel and view the world around us. There are so many things in life that are beyond our control, but the one thing we can control is our attitude and perspective on what happens to us. I often get caught up in the trap of complaining about the little things in life because it's therapeutic, but there is so much to be thankful for, including great blogging friends like you!